Moist & soft pumpkin banana bread – combined with sweet cinnamon, ginger, and pumpkin pie spice for the ultimate Fall-inspired banana bread. 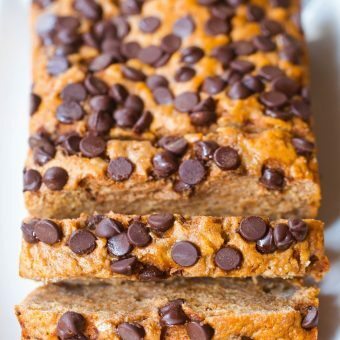 Trust me, if you love pumpkin, you NEED to try this pumpkin banana bread. The recipe is packed with two whole cups of pumpkin and banana, adding unbelievable moisture and softness, without any added fat! 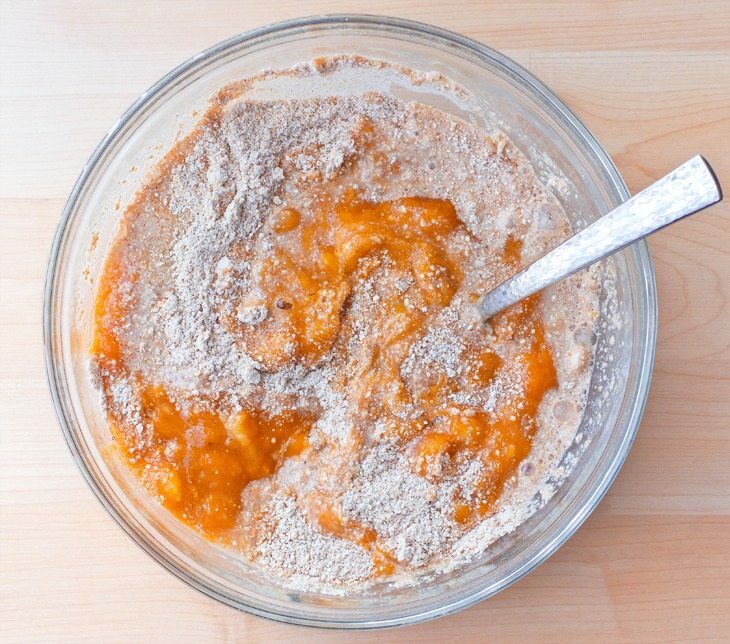 If you make just one pumpkin recipe this year, you won’t regret making this one. I’ve already made it five times and have no plans to stop any time soon. It is good for breakfast, snack, dessert, or anything in between… and it freezes well too! 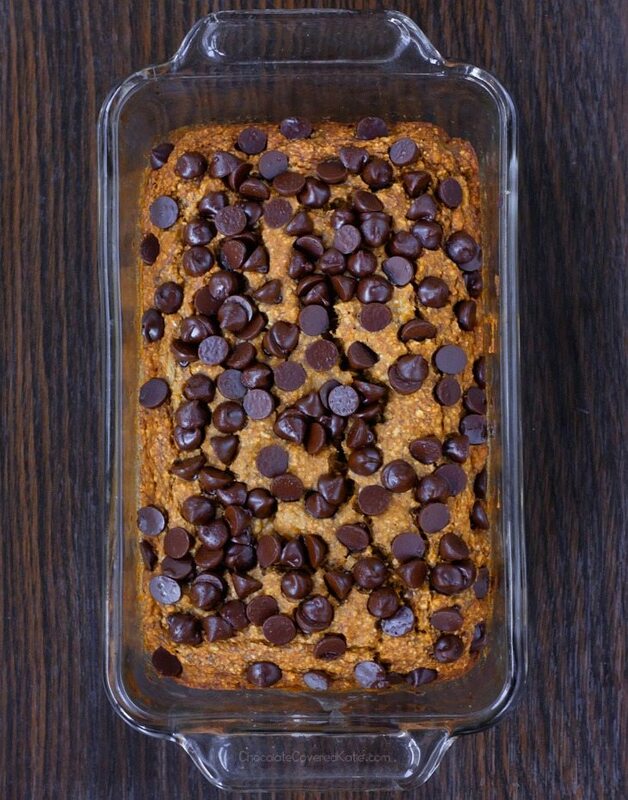 This is a great way to use up canned pumpkin and over-ripe bananas. I adapted the recipe from two of my favorites: Flourless Banana Bread and Chocolate Coconut Banana Bread. Adding the extra cinnamon and pumpkin took it over the top in deliciousness, and this particular version is hands-down the best banana bread recipe on my entire website, at least in my opinion. There’s actually a batch in my oven as I’m typing this! Even the bowl of batter looks like a swirled work of art. Plus, no eggs in the batter, so you can eat as much as you want. Although I would never serve it this way, I love undercooking the banana bread on purpose and eating it so gooey it’s almost raw in the middle. It sounds crazy but is ridiculously good. Just combine all ingredients and stir to form a batter, then smooth it into a loaf pan. Eat a copious amount of chocolate chips as you work, to make up for all of those calories you’re burning. Then sit back and relax, and try not to peek before it’s done. To cool the bread gradually so it doesn’t sink in the middle, I like to turn off the heat before opening the oven and leave it in for an extra ten minutes. *I’ve tried the recipe successfully with spelt, white, and oat flour. Although I can’t vouch for a flour I haven’t tried, please feel free to experiment. Preheat oven to 350 F. Grease a 9×5 loaf pan, and set aside. In a large mixing bowl, combine all dry ingredients. Whisk all liquid ingredients in a separate bowl, then pour wet into dry and stir to form a batter. Smooth into the prepared pan. If desired, press some extra chocolate chips into the top. Bake on the center rack 30 minutes, then do not open the oven door but turn off the heat and leave in the closed oven for 10 additional minutes. Because ovens may vary, if it’s still undercooked after this time then just turn the heat back on and cook–checking every 5 minutes–until firm. Let cool completely, then cover and refrigerate overnight. Taste and texture will be much better the second day (and even better the third day as it will get sweeter). Leftovers can be sliced and frozen if desired. This recipe looks really good. FYI – I don’t know if you know this, but I just discovered Ghirardelli semi-sweet chocolate chips are no longer dairy-free. I am sooooo bummed! I made this yesterday and just cut into it. Total fail! The bottom half wasn’t cooked all the way (how does that even happen) and the top half was very gummy so needless to say in the trash it went. Followed the recipe and the middle was completely raw. I’ve put it back in the oven three times, now totaling an extra 25 minutes! Hmm that is so strange! I don’t see any other comments on here saying that and I didn’t have that trouble, so I’m wondering if it’s either a climate thing or maybe an oven calibration thing? Is your oven calibrated? It’s really surprising how many aren’t! I used a full 15 oz can of pumpkin and one small banana — I’m in Reno (at 4,500 feet elevation), so I think the extra moisture and the elevation mean I should extend the bake time. Regardless, this turned out SO GOOD. I brought it to a Junior League meeting and all the ladies loved it! Katie, is there anyway you can post the NUTRITION INFORMATION below each recipe, so we don’t have to click on it to open it up, in order to print it off ? Also could you please make it not in a box form, which takes up so much space when printing? I love, love your blog, post, recipes and the fact they have the weight watchers points. It really helps so much. I like to print them and keep them in my blinder. It would just save a lot of time, and ink if they were on the same page and nutrition information not taking up so much space. I know this seems like a little thing, but it does add up. I also follow a few others, but not as good as yours, that’s for sure, but they have it right below and in sentence form, which makes it easier when printing. That’s again!! Keep it up please, and i am always excited to see what you have for us each day. She used to do nutrition facts on one page, but I think there were a lot of people recovering from eating disorders or disordered eating who asked for it not to be on the same page because numbers trigger them and they would rather not know the numbers. 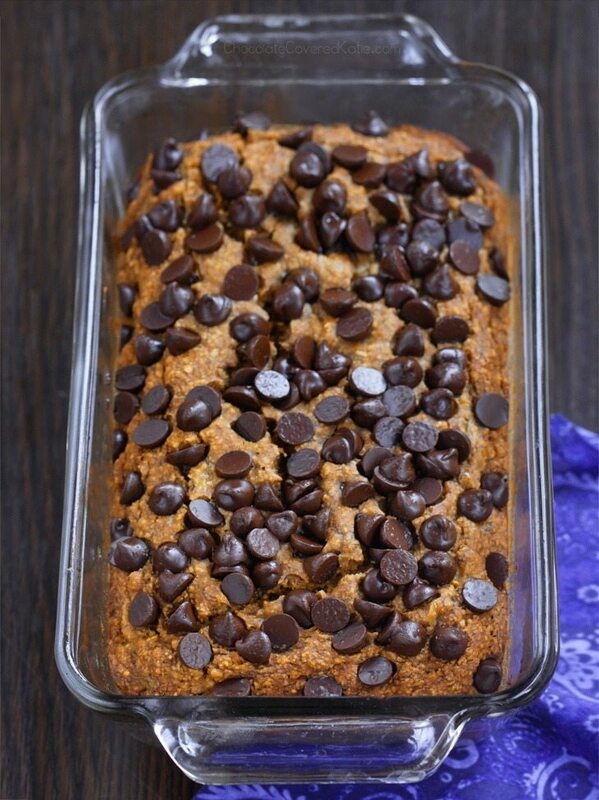 What a tasty yet healthy pumpkin banana bread! Would love to try this recipe. Thanks for sharing it as well as its nutritional facts. Great blog! 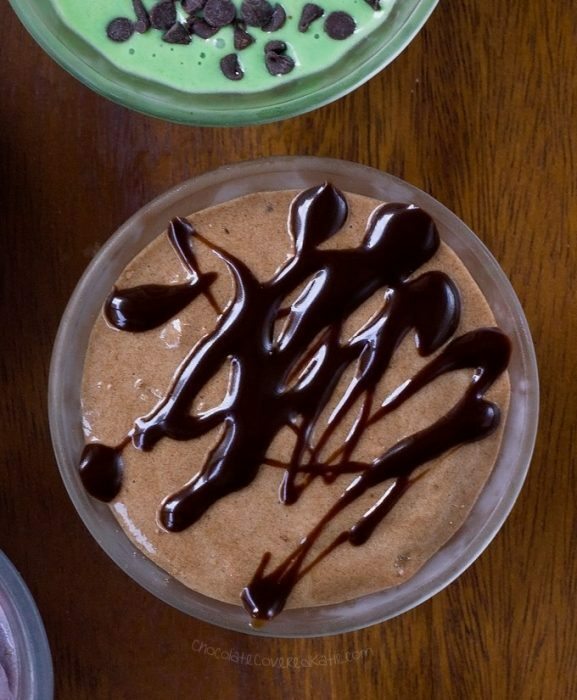 I tried this recipe too and my daughter loved the taste. Next time I’ll use less bananas, no oil and whole flour. I mixed in 1 cup of my Genauva extra dark chocolate gems (cocoa 70%) and that blended perfectly. The structure was very dense and chewy, I prefer it more like a brownie. Maybe, with some changes, next time I’ll get this structure. 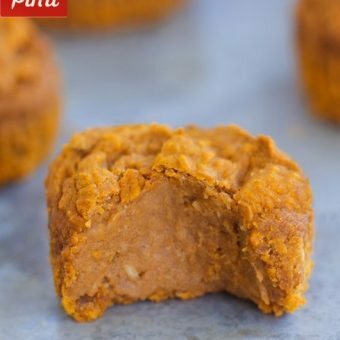 I made a double batch of this because I had some extra pumpkin or squash leftover. My hubby bought something on clearance after Halloween but the store did not mark what it was. It turned out good, but I did not have a 9×5 pan so I used the 4 mini silicone pan. I used all four for the double batch and the loaves rose beautifully, but after following your directions to turn the oven off and not open the door and let it sit for 10 minutes I discovered they were not done. I ended up turning the oven back on for another 10 minutes and then let it sit for another 10. My question: Is this supposed to be a flat quick bread. Your photos make it look like the bread does not rise. Mine rose beautifully, a nice rounded mound. Hmm, mine did seem to rise a little more than the photos too. Definitely a good surprise! I made this today with Brown Rice Syrup instead of Maple Syrup/Agave because it’s what I had on hand. I also used fresh roasted pumpkin I had pureed instead of canned pumpkin. It was delicious! Super moist and great the next day too. 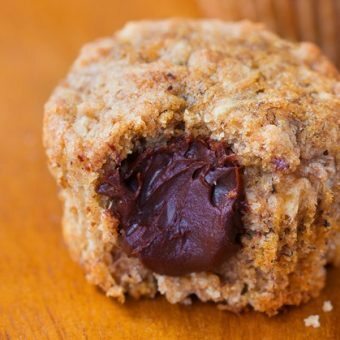 HI Katie – this sounds awesome – do you think it would work as muffins? 20 minutes bake 10 sit in oven? I made this last night, and it is amazing! My pumpkin-hating husband actually ate 2 slices because he didn’t find the pumpkin flavour too overbearing. I used all-purpose flour, maple syrup, coconut sugar, and unsweetened almond milk and baked this at 160°C with max fan (I live in England). 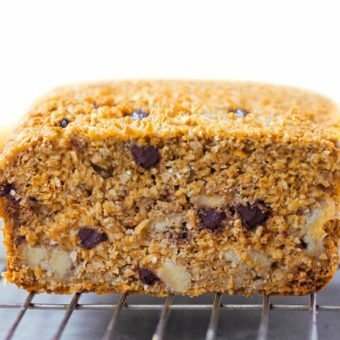 In the future, I will mash my bananas better (into a puree), eliminate the extra sugar (it is a little on the sweet side for me), and will bake this for maybe 5 minutes longer (the middle wasn’t completely set – but I don’t mind because there are no eggs in the recipe). I can’t wait for a few more bananas to ripen as they already have a destiny! Looking so yummy.. i like this. Is it okay to leave out the honey/maple syrup in this recipe? And how thick is a “slice”? Is it the size of a normal bread slice, or bigger? can I just leave out the “1/16 tsp uncut stevia Or 2 tbsp sweetener of choice”? 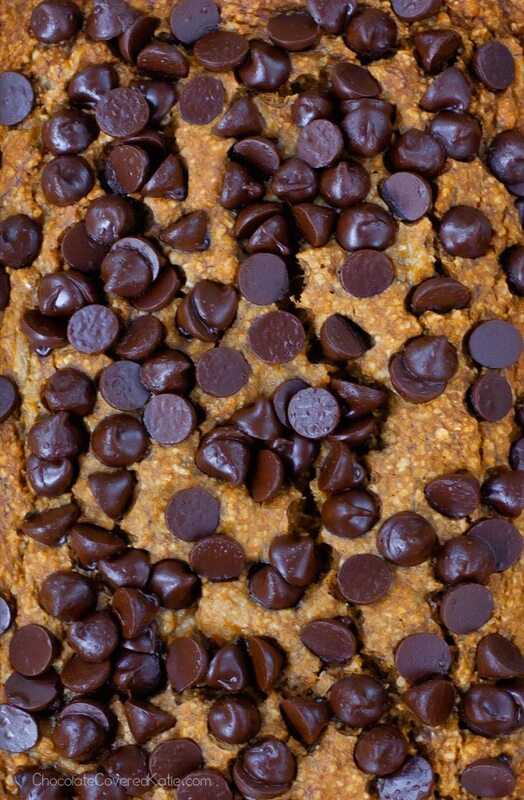 I want to bake a healthy pumpkin banana bread, maybe it is even possible to use homemade date syrup instead of honey/maple syrup. You can probably use date syrup instead of the maple, but it will be an experiment! Be sure to report back if you do try! 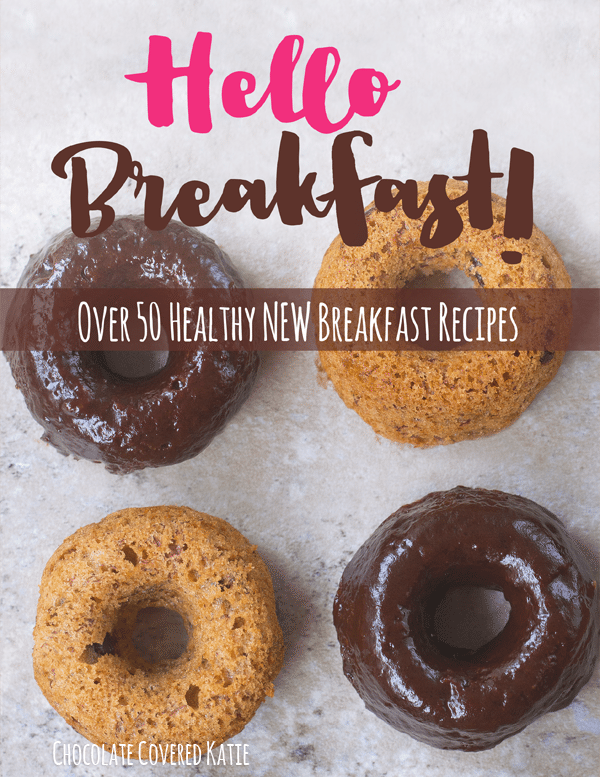 Always looking for alternative breakfast ideas so thanks for this one!